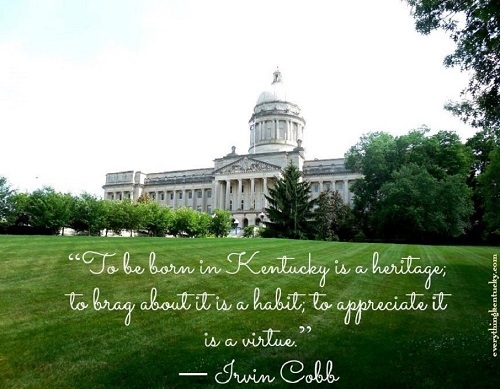 This blog will be about the state of Kentucky, her people, places, scenery, food, history and products. We will post anything and everything we find interesting about this great state. We hope you will join us on our journey through the Bluegrass! If you have an interesting story, know someone that would make an interesting story or know an interesting place let us know in a comment. Please look on the right hand side of any page on the site and sign up for e-mail notifications whenever we publish a new post. Your e-mail address with not be shared with anyone and you will be the first to know some interesting things that are happening in our state. Thank you for following. Please check out all our sites on Facebook and Twitter, too. The Southern Lady Cooks website and The Southern Lady Cooks Facebook page. On The Rodeo Road Website and On The Rodeo Road Facebook Page. The Southern Twins Website and The Southern Twins Facebook page.